A Kiddush is a festive, informal catered buffet, enjoyed after the morning services on Shabbat and holidays. 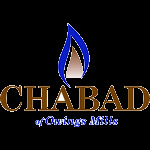 The Kiddush has become a vital part of Chabad Owings Mills as it does much to create friendships, community, and the warm Shul atmosphere in which we take great pride. Celebrate a birthday, anniversary, or other special occasion, or commemorate the Yahrtzeit of a loved one, by sponsoring a Kiddush. Call the office or contact us with the dates you would like to reserve, or go to the payment page and include the date and occasion in the "details" box. Standard Kiddush - $300 (includes: wine, drinks, fish, cholent, salads, cake, lechaim). Deluxe Kiddush - $450 (includes: wine, drinks, deli, challah and rolls, fruit, cholent, salads, cake, lechaim). The Friday night kiddush sponsorship is $200 (includes: wine, drinks, soup, kugel, hot side dish, cake, fruit). Vayakhel March 2 Anonymous Why not?